Corporate workplaces may ban the use of social networking sites like Facebook in their offices, but the internet giant has found a way to enter this space. Startups and older businesses in India such as Zomato, PayTM, BookMyShow, Delhivery, Yes Bank, L&T Infotech, Godrej, and others have begun using Facebook At Work — a twin of the network as we know it but strictly for on-the-job use. Think spreadsheets instead of wedding pictures on the news feed. “Here (in India), there was a need for people without email or (official) mobile numbers to get on to the platform,” Julien Codorniou, director of Facebook at Work told TOI on Tuesday while talking about how the Indian market compares with the others. “The scale and momentum here is much bigger than other countries,” says Codorniou, who also serves on the board of French media group Le Monde. Still in the beta stage, Facebook At Work, falls into the category of what are called “enterprise networks”. These are for use within offices for collaborative projects and sharing messages among other things. 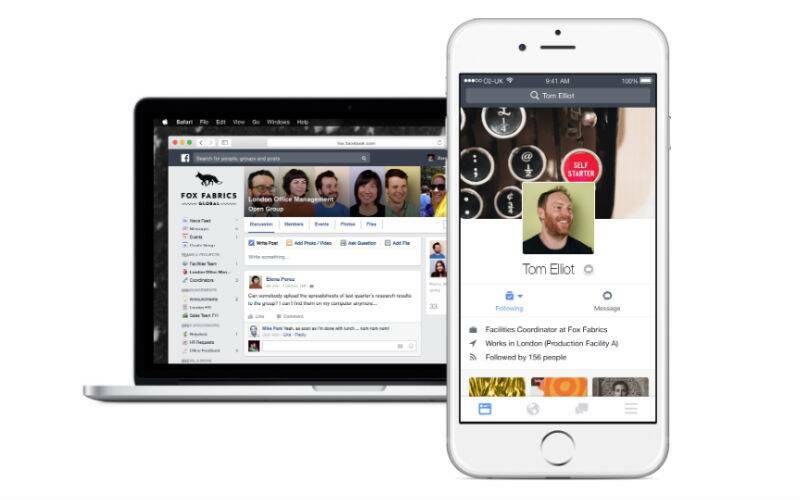 Facebook first launched a beta platform for the work variant in 2015, piloting the project with Royal Bank of Scotland. In India, L&T Infotech was the first company to come on board in April this year. Visually, Facebook has retained most of its features from the regular website for its “At Work” variant. Otherwise, it comes with its own network and messaging app, is stripped off of Candy Crush, Farmville, and other such apps; comes in a slate grey colour that is distinct from the regular Facebook’s deep blue; and requires a different login (so no toggling between Facebook for personal use and Facebook for work within the same account). More importantly, it does not have anyads. Revenue comes from a subscription model. Facebook declined to reveal the fee and the available subscription plans. Facebook claims that over 60,000 companies had signed up for a trial in the beta version when they first piloted this project in the US and the UK in July last year. Even so, it is in for heavy competition. Slack, a popular enterprise messaging app, hit two million daily active users at the end of 2015. It was recently valued at $3.8 billion. Microsoft’s Yammer claimed to have acquired eight million users back in 2013. earlier this year, Microsoft made Yammer part of the bundle of services with Office365. Slack is available as both a paid version and a free one. It charges between $6.67 and $12.50 per user depending on the subscription plan. Its Indian counterpart Flock, charges $3 per user per month for added features. Could this move into the enterprise market have been better-timed to tackle competition? Codorniou claims that Facebook At Work is not running the same race. “We think of ourselves as a productivity app. Our competition is internal emails, VOIPs, and company intranets,” he says.